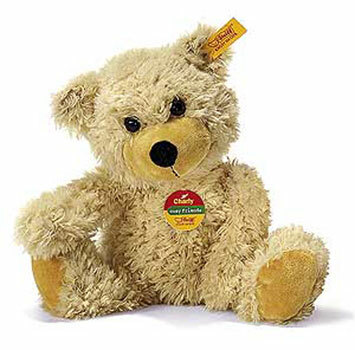 Steiff Charly Bear Beige Discounts Apply ! Here is the Steiff Charlie Dangling Bear . Made from the finest Beige Plush, Is Really Cute and Cuddly and Machine Washable. This bear is part of Steiff's 2009 Exclusive range.